Responding to deep concerns about sexual violence at California’s college campuses, the state Legislature unanimously passed two bills in recent weeks. But Gov. Jerry Brown vetoed one of the measures, the second straight year he has surprised advocates of a crackdown on campus sexual misconduct. Assembly Bill 1896 – introduced by Assemblywoman Sabrina Cervantes, D-Riverside – was spurred by concern that vague language in the state Education Code might have required that crisis counselors at public or private colleges disclose to law enforcement authorities their knowledge of criminal allegations. Counselors in other settings who hear about alleged sexual violence are generally given guarantees under state law allowing them to communicate confidentially with victims. AB1896 extends that protection to campus counselors. It was supported by the American Association of University Women of California, the California Faculty Association, the California State Student Association and the California State University system. Brown signed the bill on July 18. But a different fate awaited Assembly Bill 2070, by Assemblywoman Eloise Gomez Reyes, D-Grand Terrace, even though it had many of the same college organization supporters as AB1896 and some significant backing from such outside groups as the Los Angeles County Board of Supervisors and the California chapter of the National Association of Social Workers. There is no evidence the measure faced any criticism in the deliberation process. 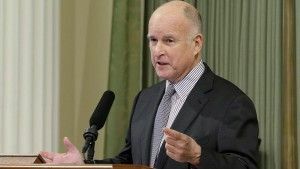 But the Los Angeles Times reported that Brown vetoed AB2070 on July 18 because he considered it to be duplicative of requirements already included in state law. The governor also said he wants to see a pending report from a panel of experts on campus policies on sexual violence before changing state law. That panel was appointed last year after Brown vetoed Senate Bill 169 by Sen. Hannah-Beth Jackson, D-Santa Barbara. That measure was far more sweeping than the bills Brown decided on this month. It would have written into state law some of the federal regulations on campus sexual violence created by the Obama administration. Jackson introduced the bill after reports that the Trump administration would scrap the rules, which proved correct. The Obama administration rules were controversial in civil liberty circles. Critics said they led to limits on due process for students accused of sexual misconduct by encouraging colleges to lower their standards in determining guilt and by limiting how vigorously the accused could present a defense. But activists said the rules, based on the federal Title 9 law requiring equal treatment of the sexes, had a positive effect on campuses – promoting an atmosphere in which victims were more likely to come forward in the belief they would be treated fairly and humanely. The Atlantic magazine reported in October that Brown appeared to be “the first prominent Democratic elected official” to raise fairness concerns about the Obama rules.